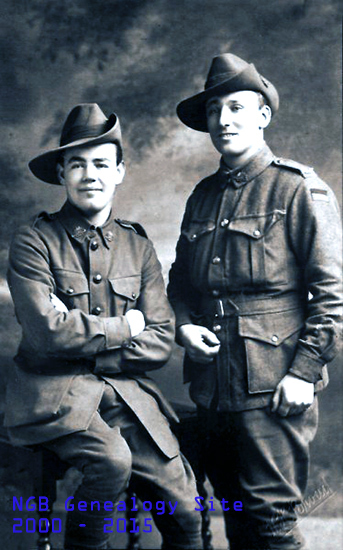 Michael Byrne and Andy Cook of the 29th Battalion Australian Imperial Force. 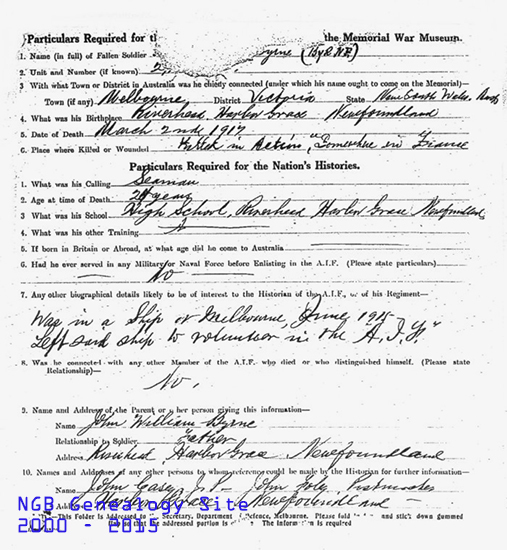 Michael was from Riverhead Harbour Grace and joined the AIF after leaving his ship in Melborne Harbour. 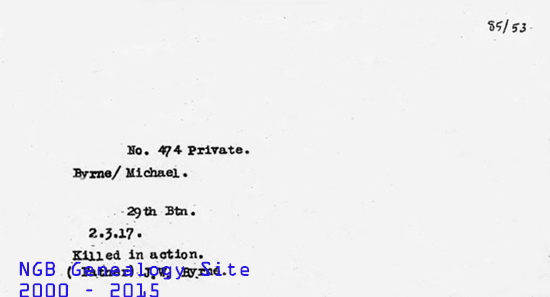 Michael was killed in action at the age of 24 at the Bapaume. Michael is on the left.